Most consultations are by telephone. We're working with "instant energy messaging" so it works just as well as in-person. 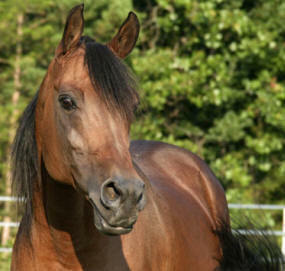 We can use a photograph (emailed or mailed) or a name and description of the animal. Your animal does not have to be in the room with you - or awake - for this to work. Many people report that their animals look or behave differently right after the appointment. Before your consultation, I will check in with your animal and help balance the energy for the highest good of all. When our appointment time arrives, I'll call you on the telephone and together we'll connect directly with your animals ... opening up a compassionate connection to their world. You be able to ask questions and hear your animal's response. Together we will help resolve issues, answer questions and receive guidance from the highest spiritual sources. How soon can we set up an appointment? If you have email / internet access (to send photos and use PayPal) usually within a couple of days. For mailing checks & photos, allow two weeks. Each situation is different. Some clients find one session is enough. Others like to check in with their animals when things change or to work through more complex issues. You will know what works best for you and your animals. 1. Contact us to schedule your appointment. 2. Once your appointment time is set, we'll email you a secure PayPal invoice link. Payment needs to be received at least 24 hours in advance to hold your appointment. 3. We will send you an email confirming your appointment with suggestions how to get the most out of your consultation & instructions for emailing pictures. We accept PayPal, checks, money orders. Photos are helpful but not necessary. We can work with a description, too. Most clients enjoy sending photos and it's easy with email and digital cameras. A simple snapshot with your animal looking towards the camera is fine. Print photos will be returned after the session if you enclose a self addressed stamped envelope, or we can keep them here for a future appointment. Guarantee: If we are not able to make a connection with your animals in the first few minutes, we will agree to end the consultation and there will be no charge to you. Animal communicators are not veterinarians and do not diagnose or treat disease. Because you and your animal have free will, we cannot guarantee a particular behavior change or outcome. Animal communication not a substitute for veterinary care, training, nutritious food, clean water and companionship. Susan is no longer scheduling missing animal consultations. For resources about finding lost animals, please visit Susan's Animal-Whispercom website. Susan Hamlin is honored to support the work of not for profit organizations working for the well being of animals. Thank you to for entrusting me with helping you and your animals. I am blessed to meet heroes every day who honor the human animal connection .. who 'get it.' Thank you for referring your friends, family and colleagues. I look at my work as a sacred trust and am grateful for your friendship and support. I want to thank you for the wonderful session on Saturday. I feel so much better knowing more what Major is thinking and feeling. It is a wonderful thing that you are doing for us animal lovers. I will highly recommend you.-- Brenda G.